Constipation is a condition in which you find it difficult to empty the bowel. You may have constipation when you have bowel movements fewer than three times a week and stools are hard and dry. Many people try different methods and remedies to treat constipation, and many say that they have experienced relief from apple juice. Does it really work? It does actually. 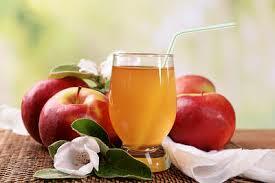 Apple juice as well as other fruit juices like pear and prune can do it well. Apple juice proves beneficial in the treatment of constipation because apple is a rich source of fiber–it is in its skin. Moreover, apples contain a natural occurring fiber called pectin that plays a big role in adding bulk to your stool. This makes it easier to have a bowel movement. If you eat an apple with its skin, you will get up to 3.3g of fiber. This can really help improve your constipation. The answer to "does apple juice help constipation" is positive also because of the presence of a naturally occurring sugar alcohol called sorbitol. It works as natural osmotic laxative and softens the stools to prevent constipation. Apple juice is a better bet because it contains both soluble and insoluble fiber and works as laxative to treat constipation. It is alsoimportant to make some changes in your diet as well to treat constipation. Including fiber-rich food in your diet will prevent constipation and enhance regular bowel movements. To treat mild constipation, the best idea is to mix equal pear and apple juice and consume it as the first thing in the morning and an hour before you go to bed. Mixing apple juice with pears helps because pear provides you with additional minerals, fiber, vitamins, and chemicals to clean the kidney and colon. Mix prune juice with apple juice and drink it at least 3-4 glasses a day. Opt for fresh apple juice for better effects. Avoid bottled juice because it may be contaminated by plastic containers. Glass containers are better but even they may contain artificial sugars that weaken the effect of sorbitol. Does apple juice help constipation in infants? Yes, it does, but you need to bear a few important things in mind. Apples have sorbitol that your body can process but your infant may have trouble digesting it. Therefore, it is important that you do not give more than 2oz of apple juice to your infant. Start with an ounce of apple juice that you can feed with a spoon. Give it twice a day in the beginning to help treat constipation in infants. Do not give too much of apple juice because it contains sugars that may make your baby to drink less of breast milk or formula. You may consider using corn syrup for similar effects–do not exceed 1-2 tablespoons a day. You can also give them fruits and veggies if they are already taking solids. Talk to your doctor if these dietary changes fail to fix the issue. Remember not to replace apple juice with applesauce, because the latter contains pectin which makes the stools even harder. Psyllium Husk Powder: Mix a teaspoon of Psyllium Husk powder in a glass of water and drink it thrice a day to treat constipation. It is important to drink 3-4 liters of waters during the day for better effects. Prunes: They are dried plums and work well to relieve constipation. You can drink a glass of prune juice in the morning and at bed time or snack up on prunes for relief. Try drinking apple juice in between to get rid of constipation even faster. Papaya: It has laxative effects to improve constipation. You can make it even more effective by combining it with dried or fresh figs. Have half a papaya for breakfast along with 5-6 figs for faster results. Spinach: It is loaded with essential minerals and vitamins that make it quite beneficial for your digestive system. Take fresh raw leaves of spinach and extract their juice. Drink half glass of spinach juice with half glass of water twice a day to say goodbye to constipation. Oranges: Drinking orange juice helps by increasing the contraction of the muscles in the colon to make bowel movement easier. You can also eat oranges in the morning to improve your fiber intake, which in turn will help combat constipation. Water: One of the most common reasons of becoming constipated is dehydration. You should increase your fluid intake to prevent constipation. Men should be drinking at least 13 cups (3 liters) of fluid a day and women should have at least 9 cups (2.2 liters) of fluid every day to prevent constipation. Fluid does not mean cola and coffee, but you can drink clear vegetable soups and vegetable juices to rehydrate yourself. Exercise: Along with dehydration, a sedentary lifestyle is also common cause of constipation. You need to exercise regularly to treat chronic constipation. Being active helps food move faster through the colon. Even a short walk for half an hour will do the trick.